The following monographs are published by The Underground Conservancy. Help support our organiztion by purchasing these publications. A small, but interesting cave located in southeastern Arizona, Buckelew Cave is known for it's rich history and significant biologic resourses. 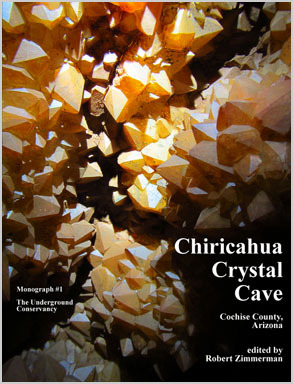 This monograph includes the cave map, as well as chapters on the history, geology, and biology of the cave. This unique cave located in the Chiricahua mountains is named after its rare quartz crystals that are present in the deep recesses of the cave. 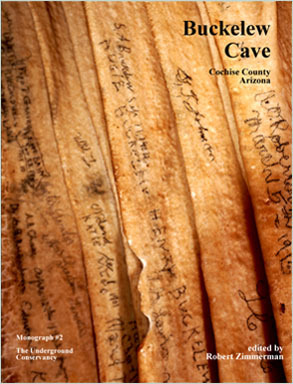 The cave is located in southeastern Arizona and contains over two miles of surveyed passageways. This publication includes chapters on the cave's history, biology, geology, speleogenesis and includes a detailed map of the cave.